These universal-use metal brackets are very versatile and can be used for securing various components on profiles with a T-slot nut. 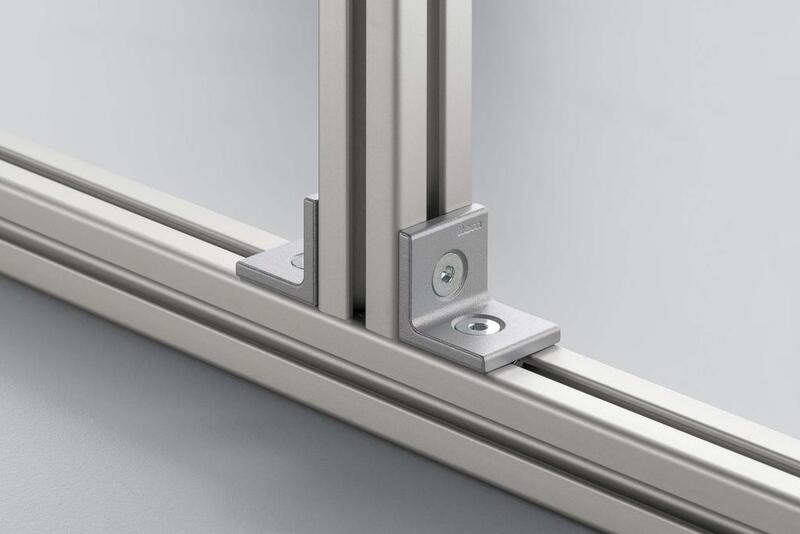 For heavy-duty fastening of large Profiles 8 320×160 or Profiles 8 160×160 with innovative screw technology. The profiles need no machining, making it easy to reuse and reconfigure the profiles at a later date. They can also be used for screwing profiles to floors and walls and for fastening heavy parts that are not part of the MB Building Kit System. 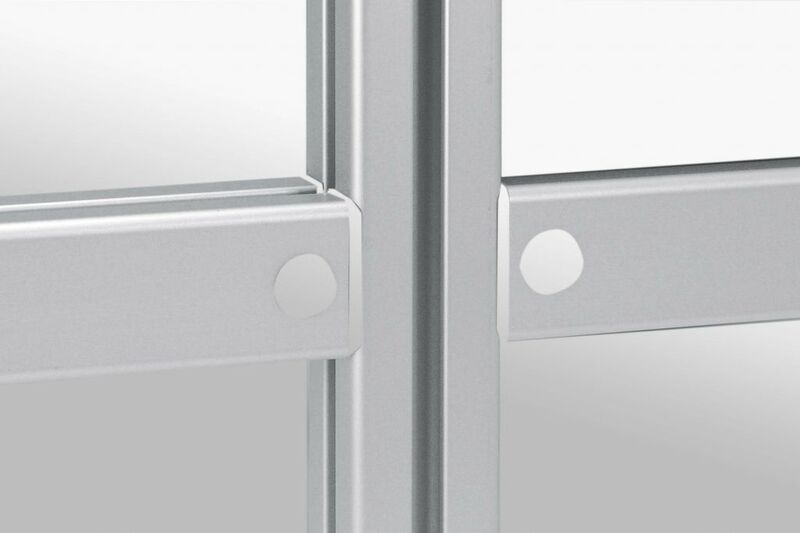 Depending on the combination of profiles, up to 4 Fastening Sets may be required for each Angle Bracket. 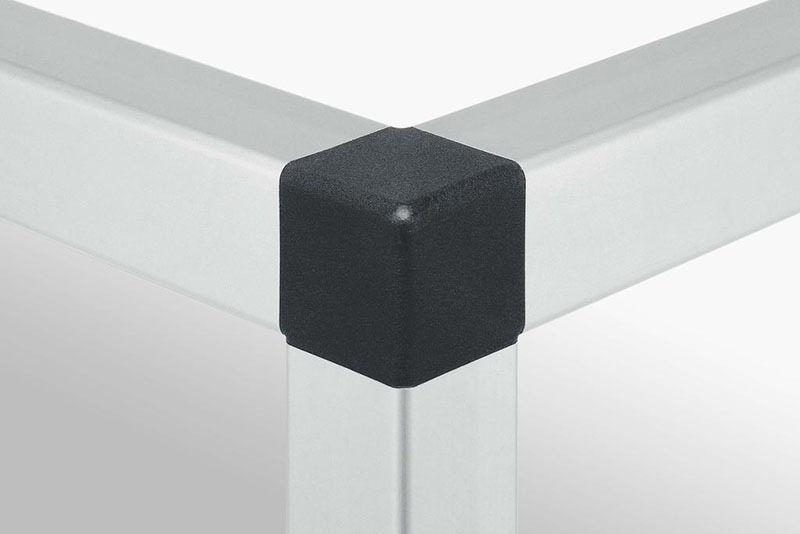 Useful for installing panels, as the fastener ensures the groove area remains free. No machining of the panel corner is required. They are a particularly cost effective means of making a profile connection and should only be used for profile connections subject to low loads. 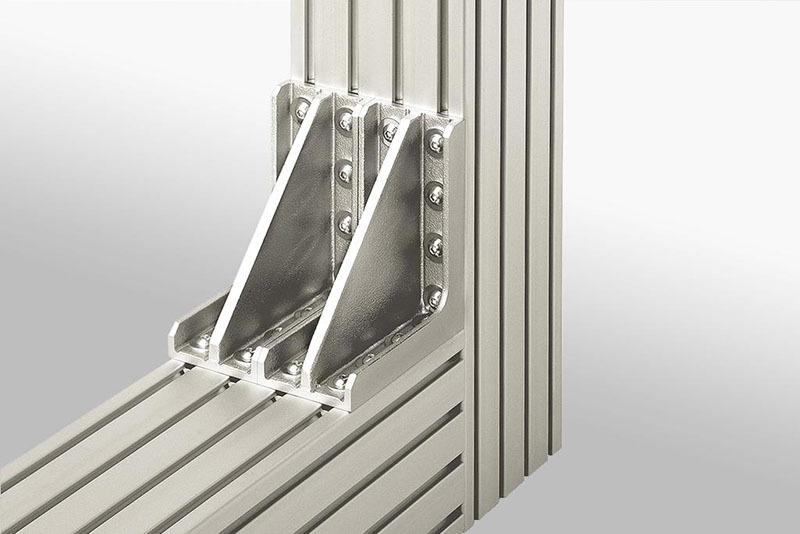 Corner Fastening Sets can be used to construct a corner unit with three profiles or one corner angle with two profiles, ensuring a continuous profile geometry. These fastening sets are ideal for constructing attractive display cabinets, tables and the like.